This brand has long been known for their production of some of the worlds most trusted and touted products. Whether they are redefining an industry with quality products and well-designed construction or adding value to sportswear all over the world, we all know their name. When we think of this brand we think of premium quality materials with the durability and longevity to match. To add to this, they have an excellent customer service team and a quality supply of products that supersede the expectations of many. This brand is known as Under Armour. Now, we have discussed many UA products. For instance, we have talked about shirts and sports shorts that are designed for running and quality use. We have also talked about different gear and the many different design elements that go into creating their products. Most importantly, what they are primarily known for. If you know this brand, then you know that they have reinvented sports shirts by adding moisture-wicking materials such as spandex. With that in mind, you can see the level of premium quality their products are. 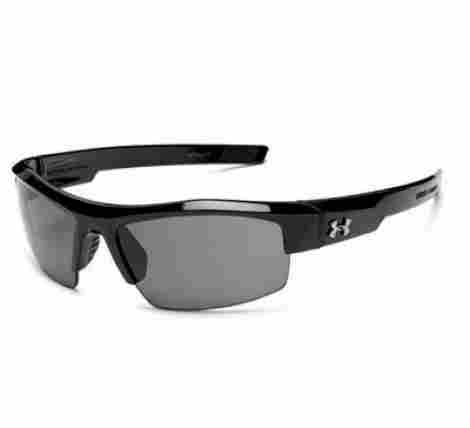 However, today we are going to discuss another type of products that is necessary and perfect for the everyday golfer, Under Armour Sunglasses. Does the quality of their workout gear also match their sunglasses? Keep riding and find out! Let’s talk about the top ten best UA sunglasses. This brand has long been known for producing an excellent variety of products. Not only are they designed to be very durable, but they have a luxury appeal to their products. So, if you are looking for quality sunglasses for the golf course from an expert brand that focuses on quality and durability, we want to share this product. This is the Under Armour Igniter and they are very modern and also sophisticated. If you want quality construction that does not feel cheap and is very durable, this is it. 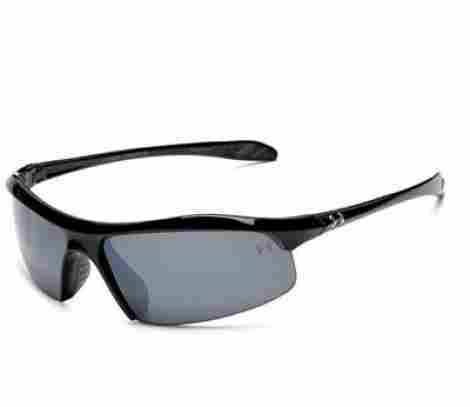 This product has a multiflection frame that allows for a user to be able to handle the sunglasses in all weather terrains. Most importantly, the sunglasses have a titanium-infused grilamid design that enhances the product design, shock absorbency, and overall longevity and durability. These would not be proper and high-quality sports sunglasses unless they had 100% UV protection. With that, they have a durable UV coating that ensures that they do not fade or are subject to wear and tear due to sun exposure. Most importantly, the UV coating protects the individual from sun damage and the sun rays, allowing for a user to be able to wear them for long periods at a time in the sun. To discuss the price and the value, individuals have to take into consideration that this brand is a premium luxury brand in the sportswear industry and their products are known for quality and longevity. To add to this, the design is modern and sporty while also having many luxury features that individuals will appreciate. Although it is not as costly as other brands such as Ray Bans or other, this product is durable. Polycarbonate lens that is highly durable. 4.5 stars for this product. The logo may fade color quickly. The frame is very stiff. If you are looking for a specific quality design that is modern but also has the availability of coming in different lens colors, this is it. This is the Core 2.0 and at the core, it is constructed of a highly durable and quality body design that ensures durability, longevity, and quality. More so, the design is simple, high quality and very sporty. Here is the first feature of this sporty product. This product is designed with an auto grip technology that is very high quality and ensures a comfort level that feels premium. 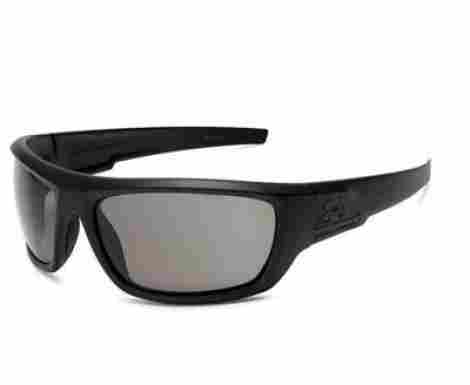 Essentially, these sunglasses come with UA AutoGrip, which is a specialized grip design where the arms of the sunglasses will automatically adjust according to the width of your face. Essentially, it allows for an individual to wear it comfortably and be able to take it off easily without fear of breaking off the arms. Another quality of this excellent product is that it comes with UA Storm technology, which is an advanced quality coating on the product. Essentially, this item is completely water, oil, mid, and dustproof, repelling any liquid easily and effortlessly. With that, grime and dirt do not build up in the material. This then is considered one of the key products for stormy and rainy weather. To discuss the cost and the value, this product is comfortable, durable, and high quality. Overall, for the price, a user can expect the product to last the test of time and have plenty of features. It does come with four different lens colors to consider, but most importantly, it is the features that make it an excellent quality product. Individuals will enjoy the fact that the frame is made of titanium and the lens is highly durable. Lastly, it comes with a case! Quality construction and durable frame design. Ultralight frame with three-point grip construction. Ultimate clarity due to Armour Sight lens. The polarization is not the best. The last two products that we shared have a frameless lens design. Well, this product has a full frame covering the lens. So, if you want enhanced quality and durability, this is it. If you are concerned about the lens, then getting this quality product is worth considering. 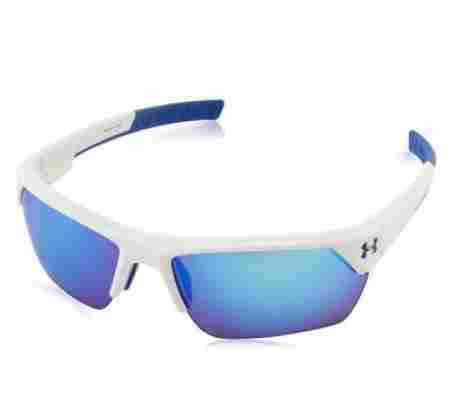 This is the Under Armour Men’s Power Sunglasses and they are quality designed to be durable, simple, and withstand the test of time. This product has a very high-quality UV Protection Coating. The coating and design is 100% UV protection and is designed so the user can wear it under all circumstances and weather changes. More so, it protects the user from the sun’s harmful rays. With that in mind, an individual is guaranteed a quality design that is great for both sunny and stormy weather. This product is a blend of two different materials. This item has a blend of polycarbonate and titanium in one simple packaged. With that, the design is titanium infused with a quality construction that is ensured to withstand drops and falls. The product is also resistant to dust, water, and dirt. Overall, it is easy to clean, comes with a durable case, and the material construction is guaranteed to last. There is a reason why this product has roughly 4.5 stars. To discuss the price and the value, this product is durable, comfortable to wear, and designed to be easy to clean. More so, it comes with a quality construction that although is a bit stiff, it is highly durable. Now, they are non-polarized, but they do come with UA’s clarity coating which allows for a clear and crisp image that appears as clear as 4k. Durable design quality and longevity. Three colors and many sizes to choose from. If you do not like the thickness of sporty sunglasses, these are the sunglasses for you. They are high quality, comfortable, and designed to last. More so, the design is a very thin titanium construction alongside a very rigid and quality build. Only the highest quality of materials was made in developing this product. More so, the design is very comfortable and intended to withstand the test of time. This product is designed to offer excellent sun protection. They are designed with a grey scale type of lens finish, which offers UV protection. However, unlike many other sunglasses we have shared, these are designed to be completely polarized. Overall, users will discover that this product is very high quality, comfortable, and designed to last. As far as the price, this product is a bit costlier than many other sunglasses in the industry because of the design and the overall construction. This product is known to be a bit trendier than many other sunglasses. With that in mind, the overall quality is very durable, and the lens is made to last. With a polarized design, the user can expect that they are comfortable. Quality design that protects you eyes. High quality and durable frame and lens. Only one-color choice to think of. The design of this product Is made in the USA and they happen to be designed to last and be highly sporty. They come in three different neutral color choices and the design has some of the many features that individuals have come to appreciate from this manufacturer. As we know, Under Armour is known for their specialty and durable products. With that, we can say that this item specifically is designed to last and be comfortable. Of course, as we have come to know from many sunglasses’ makers, they offer UV protection. This product has a UV protection coating that protects against UVA, UVB, and UVC rays. Overall, the design is comfortable, high quality, and also has a durable frame design that is designed to last. The construction is reinforced to be scratch and drop resistant in the case of an accident. As we have discussed from this brand, they always supply a case with all of their sunglasses. This product does come with a quality and durable case that can be used to protect the sunglasses easily and effortlessly. You can even take the case and store it inside your golf bag or your car for easy access to the sunglasses. They are virtually indestructible and are designed from pure quality materials. For the design benefits, this product is not very costly. With that, the design is durable, and the overall construction is highly sporty. They are intended for outdoor sportsmen or golfers, but they are very high quality and premium feeling. With a reinforced hinge design that is intended to ensure that the hinge does not break, this product is durable, and quality made. Quality and Made in the USA construction. 100% UVA and UVB ray protection. May fit a bit too large. This next product is another quality and sporty design of this brand. Designed much like the first pair we shared, this product has a frameless design, but an ultra-durable construction. With an overall construction quality that is very high quality and simple, the design offers quality coating and construction that will last. This is the Unisex Igniter. As we have mentioned before, the frames that this brand creates are high quality, durable, and designed to be expertly crafted with plenty of positive features. Individuals can trust the design of this product due to the expertly crafted and quality construction. With that in mind, the design is made with a titanium-infused frame that offers excellent and durable protection. This product is designed with a 100% UV protection and coating that is designed to last. The 100% UVA, UVB, and UVC coating is designed to ensure maximum quality protection against the weather elements. With this, the shiny black frame and gray lens are designed to be very modern and sporty. Users will also find this product is comfortable due to the rubber nose guard design. The design of this lens is very high quality and the overall construction allows the person wearing them to feel a sense of durability and safety. To add to this, the overall quality is found in the fact that it is made of a virtually indestructible coating and design frame that is resistant to many weather elements. With that, the user will appreciate the construction and design alongside the modern and sporty appeal. 100% UVA, UVB, and UVC protection. Quality case included in the design. May fit a bit tight. We are coming close to the end of our list and we still have four more great product to share. As the sixth sunglasses from the Under Armour Brand, we want to discuss the Igniter 2.0, everything we love about the first original pair but enhanced with a more modern and sportier feel. This product is high quality, simple, and durable. Here is the first feature to consider if you like the design of this product. This product comes with a very high-quality rubber nose guard to ensure maximum comfort. The overall design also has a very high quality and smooth matt coating that is also guaranteed to withstand different nature elements such as rain, snow, and other weather. To add to this, the construction is durable, well designed, and the comfort of the arm tips are made of a rubber material as well. The design of these sunglasses is made with a lower frameless design so there is no cumbersome frame that blocks your view. The design is known as ArmourFusion Frames and it is intended to offer an uninhibited view. Overall, the design is high quality, offer excellent protection and it is designed with UV ray protection as well. If you are considering this product, you may discover that it is very comfortable. In discussing the price and the value, some individuals find this product to be very durable but bit overpriced. 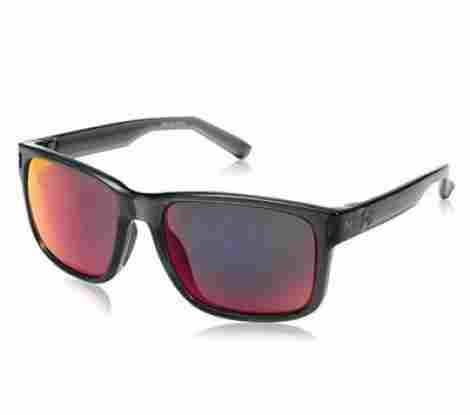 However, it is the newer version to their already high-quality Igniter sunglasses. With that, this product comes with the option for the user to consider the frame color, the lens color, and the overall product design and quality. Composite lens that is built to last. Logoed temples that are high quality. Rubber and adjustable nose pad. As the eighth product, this item blends quality and design into one simple package. The design is made with a very traditional and framed sunglass design, but the overall qualities make it a very premium product. 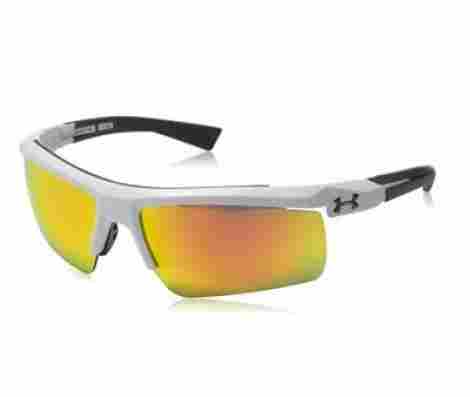 This is the UA Assist Square and they are designed with a crystal-clear lens design and infrared multiflection ability. There are numerous reasons why this product is highly considered and one of the most touted. Here is the first feature of this five-star product! This product is made with what is known as an ArmourSight Lens. The lens of this particular pair of sunglasses is made to offer an enhanced and distortion-free vision experience that is very high quality. Overall, the lens also has UV protection to ensure that an individual does not receive any sun damage. The design is high quality, very durable, and designed for individuals that want a traditional design. These sunglasses are designed with a material that is very high quality. However, they happen to be polyamide injected for maximum strength and durability. In this case, individuals will discover that the design is durable, comfortable and offers an incredibly robust frame. With that, they are resistant towards drops, dust, and other particles, making them even more durable. As far as the price and the benefits, individuals will discover that this product is a blend of quality and luxury premium finishes. It is made with a high-grade material alongside a durable three-point grip and a maximum support system. With that, it includes a fused megol rubber on the temples and the nose pad for enhanced durability, longevity, and comfort. High quality and durable design. Plastic lens and frame that is designed to last. These next sporty sunglasses are durable, high quality and made to be very modern. 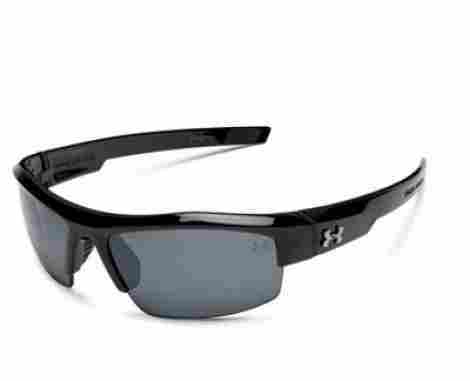 For the sporty man that wants quality sunglasses for the golf course, the Under Armour Unisex Zone 2.0 are made to last and designed from a tough construction material that is ensured to be durable. This quality product is a blend of durability and sporty style for individuals that want a long-lasting product. This product is made of nylon and polycarbonate, meaning it is a blend of tough durability and luxury features. This product is designed to last and made from a blend of some of the toughest materials available. With that, individuals will discover that they are durable, and very high quality. With a case included, the user will find that they are easy to store and fold very easily. Place it in your golf stand bag and take it on the go. Alongside the materials that this product is made out of, it also is made of a titanium-infused frame. The frame is designed to offer enhanced durability and quality. More so, the overall lens design is frameless, and it includes an attached nose guard with rubber tips for enhanced comfort and quality. With that said, the 100% UV coating is high quality and designed to last. To discuss the cost and value for this product, a user will notice that they are very high quality and sporty. More so, the product design is actually very inexpensive, and they are one of the lower priced sunglasses from this brand on our list. With that, they are a newer version and they are enhanced with supportive hinges, quality frame, and a comfortable construction design that is intended to last. With that, individuals will discover that the color quality is a shiny black frame that appears very stealthy. Quality nylon material that is durable. May be a bit tight around the temples. The case is very fragile. We have come to product number three, and it is time to discuss the UA Rival Wrap Sunglasses, which are a pair of quality designed sunglasses with an expert design and sporty style. This product is designed with a high-quality design that is durable, functional, and very comfortable. The overall design is made to be very sporty and it has this brand’s trademark UA logo on the side. Here is the first feature of this excellent product and the design. As we have come to know titanium is one of this brand’s many strong suits. With that, this product is made of a titanium frame that is high quality and very durable. The overall design is a frameless bottom design with the top having a strong hinge design benefit that is high quality, durable, and very comfortable. With that in mind, individuals will discover that this product is made conveniently for wear and tear. We have talked about once before about the UA Storm Technology. This product has the infamous UA Storm Technology, with this, individuals will discover that the design is high quality and made with an advanced coating design that repels water, oil, and mud. With that, the advanced hydrophobic coating is easy to clean, repels water, dirt, and grime easily and effortlessly. The cost and overall benefits for this product are due to the fact that they are incredibly high quality durable. More so, the design is very easy to wear for long periods at a time and the overall distortion-free vision is high quality. Alongside this, the impact-resistance design is made of a polycarbonate design that allows for the product to easily withstand the test of time. Adjusts easily on the pressure points. Quality ultimate clarity lens with Armour Sight. Armour protect military style impact resistance design. The lens may be a bit dark. May fog when working out. 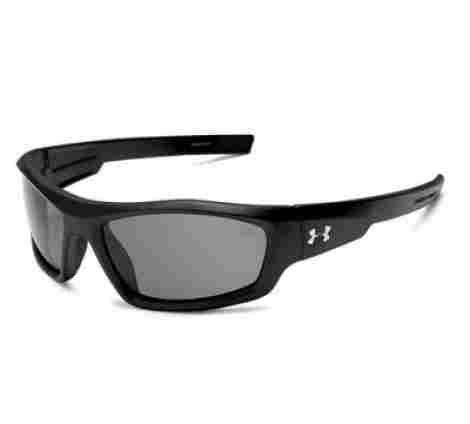 So, if you are considering quality Under Armour sunglasses, these are the top ten to consider. Not only are they all made to last, but they roughly have around 4.5 stars to 5 stars. Of course, their customer services are unparalleled, and they have been known to produce a large selection of excellent items to consider. Now that you are considering your fair pair of UA sunglasses, would you like to know how to pick the best one out? Well, this is where we head to our criteria for evaluation. Of course, the material and design is an important factor to consider. If you are thinking about quality Under Armour Sunglasses, then you must look into the material and design. With that, let’s focus on material first. As far as material, the sunglasses from this brand are made from a specialty material that is designed to be impact resistant and highly durable. This brand uses both titanium and polycarbonate in the production of their products to guarantee a quality product that is designed to last. With that in mind, they also use rubber nose guards and rubber temple guards to ensure that an individual will be comfortable and have a quality experience when wearing the product. The material is what leads for the product to have a slew of important and positive features. As far as design, this is an important aspect because it’s all about the product aesthetics. For instance, do you prefer framed or frameless lenses? 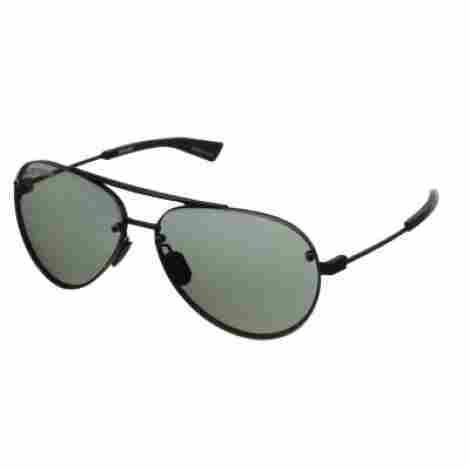 With that, there are numerous different designs ranging from aviator style to frameless sporty style. Therefore, this is an important element to consider. Now, let’s move onto the features of the product. As criteria number two, this is another quality element to consider that is very important, which is the features and benefits. If you are a fan of this brand and their products, then you know that they are designed with quality in mind and will have many durable and quality features. With that, here are some of the most common features of this brand and how they design their products. This is this brand’s specific technology against the weather elements. This brand has many different products that are designed to be UA Storm technology. 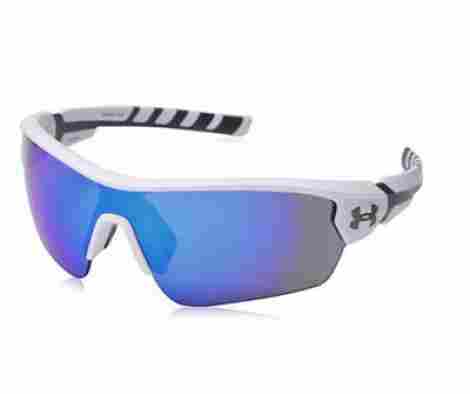 As far as sunglasses, many products that are UA Storm are designed with a moisture-wicking coating that is intended to prevent dust, water, or any potential rain from damaging the product. Many of the sunglasses from this brand have 100% UV protection to block UVA, UVB, and UVC rays. With this, they are designed with a quality design in mind to guarantee maximum protection. Overall, this design is very beneficial and important if you are selecting sunglasses in general. This is this brands specific quality lens design and material. Although many of their lenses are not designed to be polarized, with ArmourSight an individual is guaranteed a quality lens that is designed to last. ArmourSight allows for the user to receive a full and clear image without any glare or blurriness. Other features as far as lenses from this brand include. Quality and durable lens material. Titanium injected for masterful durability. Rubber nose guard and rubber temple guard. Quality drop-resistant and impact resistant durability. With that in mind, it is time to discuss the last and most important aspect when selecting sunglasses. Many individuals have a belief that selecting sunglasses that are expensive can be considered a waste. However, costly sunglasses have their benefits due to the number of luxury qualities and design features they offer. More so, this brand is known for their premium products, which tend to cost a bit more than other sportswear brands. With that, it is valuable to consider the many different design benefits of a product such as this and what the price is for those benefits. Another factor to consider in the price is the warranty for the product. Many sunglasses do come with a warranty so it is important to consider this aspect. In that case, we want to move forward and answer some of the most common questions. Q: Are the sunglasses drop resistant? A: Many of the products from this brand are designed to be scratch resistant are drop resistant. If the product has a UA coating over it, it most likely is designed to be resistant towards wear and tear and scratches, which comes in handy for golfers. A: As one will notice, many of the sunglasses from this brand are not designed to be polarized. With that in mind, individuals will notice that they do not have a glare because this brand uses specialty lenses in creating their expert products. In this case, we want to share with our audience that they do come with UV protection. Q: Are they rain resistant? A: UA Storm technology is designed to offer rain resistance and weather resistance. With that, most of the sunglasses from this brand are designed in a way where they do offer moisture wicking and water-resistant features. A: Many of the sunglasses are designed to easily be able to be taken on or off. As far as adjustable, it all depends on the size of the product and the hinge design, which can sometimes extend open a bit more for wider faces.